You'll be £19.99 closer to your next £10.00 credit when you purchase Evacuees. What's this? Order within the next 3 hours, 9 minutes to get your order processed the next working day! On the outbreak of the Second World War, during the first week of September 1939 over three million people were evacuated. Operation Pied Piper was the largest ever transportation of people across Britain, and most of those moved to safety in the countryside were schoolchildren. Social historian Gillian Mawson has spent years collecting the stories of former evacuees and this book includes the personal memories of over 100, in their own words. Their accounts reveal what it was like to settle into a new home with strangers, often staying for years. While many enjoyed life in the countryside, some escaping inner-city poverty, others endured ill-treatment and homesickness. A fascinating insight into the realities of wartime life, and a valuable oral history of a unique moment in British history. This is a fascinating insight into the realities of wartime life, and a valuable oral history of a unique moment in British history. Gillian Mawson does a great service to our understanding and knowledge of what these children lived through and endured, giving us a useful additional understanding of the social history of Home Front Britain. As featured in Wrekin News. A unique collection of oral histories exploring WWII evacuations and a fascinating and moving document for posterity. A fascinating insight into the realities of wartime life and a valuable record of a unique moment in British history. As seen in the North Devon Journal. This book gives a unique insight into the evacuation experience from the mouths of those who lived through it, before they are lost to us forever. It is packed with posters, documents and photographs, some from local groups archives and others 'rescued from old suitcases and attics', along with useful websites and contacts for further research. The breadth of experiences touched upon is extraordinary. As seen in the Derby Telegraph. A fascinating insight into the many different experiences of what was a brave undertaking both for those that implemented the programme and also those who were evacuated. As seen in The Guide (Prestwich & Whitefield). As seen in the Dorset Echo. Author and researcher Gillian Mawson's fantastic new book includes some fascinating stories...It sheds light on an often ignored part of social history. As seen in the Stockport Times. As seen in the Liverpool Echo. As seen in the Matlock Mercury. As seen in the Great Yarmouth Mercury. As seen in the Stockport Express. As seen in the South Wales Evening Post. As seen in the Buxton Advertiser. As seen in the Lancashire Evening Post. As seen in the Carmarthen Journal. 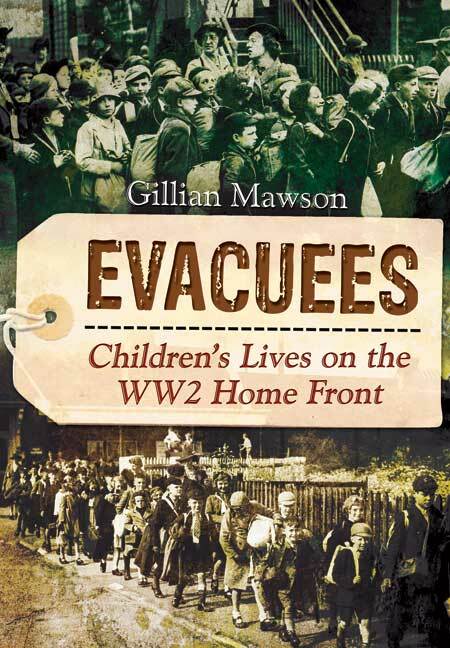 Gillian Mawson has made a particular study of the evacuations of the Second World War. She has organised evacuee reunions, provided research to radio and television documentaries on the subject of evacuation and run a community group for evacuees. 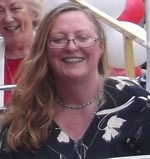 She is also the author of two other books on the evacuees. Gillian lives in Whalley Bridge, Derbyshire.